Accounting firms do even bother with social media or its just waste of time for them? If firms haven’t started using social media platforms, they are likely leaving a lot of business on the table. Do you think only LinkedIn can be useful? Being active on social media is beyond Facebook, Twitter and LinkedIn. Firms can now have Blogs, videos, community, discussion groups. Gone are the days when LinkedIn was the only platform for professionals.In this era, all the social media platforms are used by the younger generations. These channels help to understand the wants and needs of the targeted audience from accountants.Active online presence on social media is very necessary to keep one updated with the real time updates and fresh information. One can selectively design the strategy and reach audience effectively and efficiently. Social media offers you the perfect place to showcase your mission, firm’s culture and personality and ultimately helps firms to monitor their reputation closely. Ultimately, people will recognize the business as an authority whom they can trust. Firms can engage people by sharing best content, posting blogs and important announcement which will attract large number of audience and will help in driving more traffic to the firm’s website. Organic reach continues to decline whereas firm want to increase their visibility. Social media platforms are providing paid advertisement service which will help in increasing the brand reach and visibility. There is increased spending on paid social as the focus on online activity is lead generation. Word-of-mouth is a large business driver in social selling, Reviews has a great impact on prospects purchasing behavior. Firms should actively start owning and managing their online reviews to improve social selling since it will continue to sway the customer decisions. 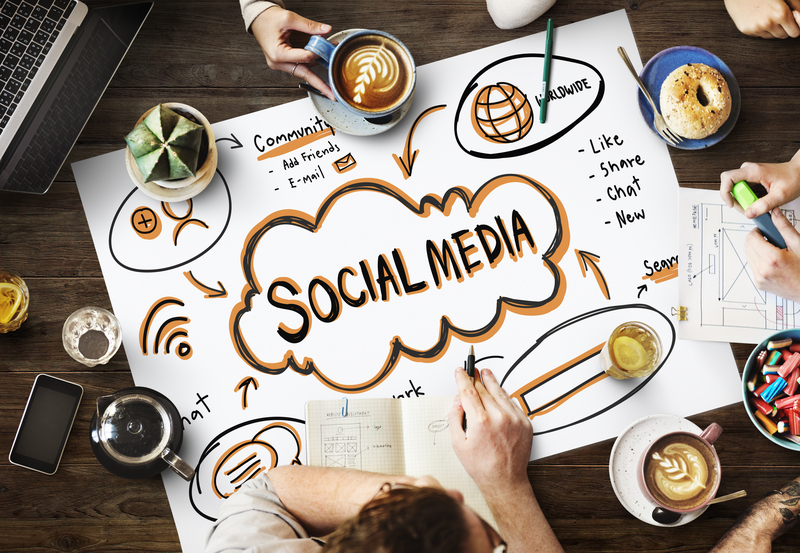 Social media groups help firm connect with a large and targeted audience. These communities give an opportunity to discuss & share the views with the industry leaders and helping them expand their connections. Customers expect real time responses from the service providers. Chatbots are like digital assistant which are used for customer assistance. Facebook uses chatbots to interact and solve the queries. Above are the reasons why social media presence being no longer optional, it’s a necessity. It can be little challenging to move from traditional practices to modern marketing practices but It is never too late to start implementing social media strategies.